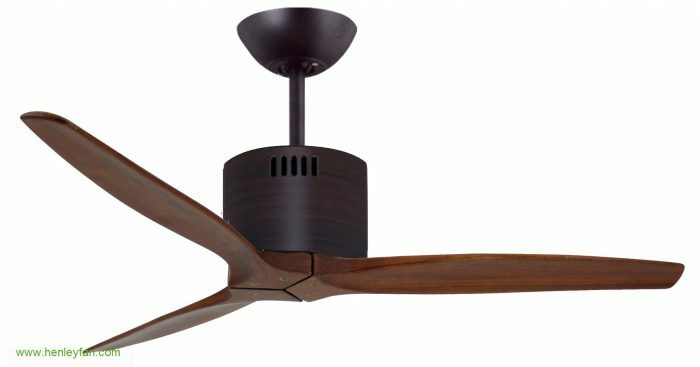 MrKen Slim Designer ceiling fan is a smaller 40″/102cm version of the Wood 3D featuring beautiful hand-finished solid wood blades perfect for small bedrooms and other small rooms. 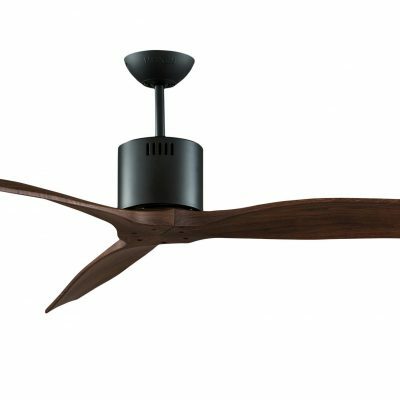 The MrKen Slim Designer ceiling fan is the same as the MrKen-3D Solid Wood but has a smaller 40″/102cm blade sweep size and so perfect for smaller rooms or spaces. It is the same powerful motor and beautiful design. 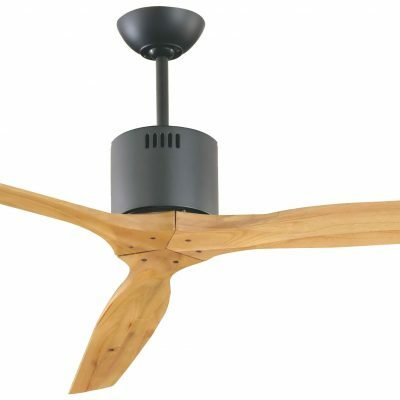 It features solid wood blades with the second generation ultra-low energy DC technology. It also has a slightly shorter motor making it ideal for smaller bedrooms or offices where the larger MrKen Wood at 52″/132cm would look overpowering. 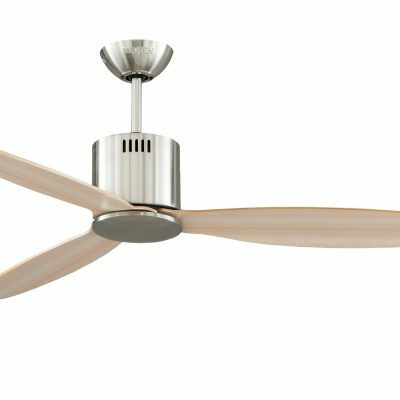 This fan is also available as a hugger/flush mount version with the adapter kit to give a drop from ceiling to bottom of the fan of 23 cm instead of 38 cm a saving of 15cm/6″ for £24 more – please call our office to order. I bought 10 of these for my holiday home in Thailand (pictured) and they are simply brilliant. They look very modern and fashionable providing a nice simple clean focus to the room in lovely finishes unlike the fussy plastic old fashioned design of most ceiling fans. 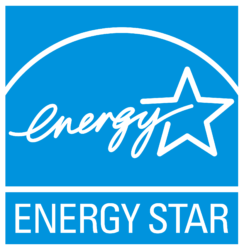 They work amazingly well and are also totally silent which is essential for the bedrooms. I have turned the air conditioning set temperature up (ie reduced use) since it was too cold with the fan running as well. 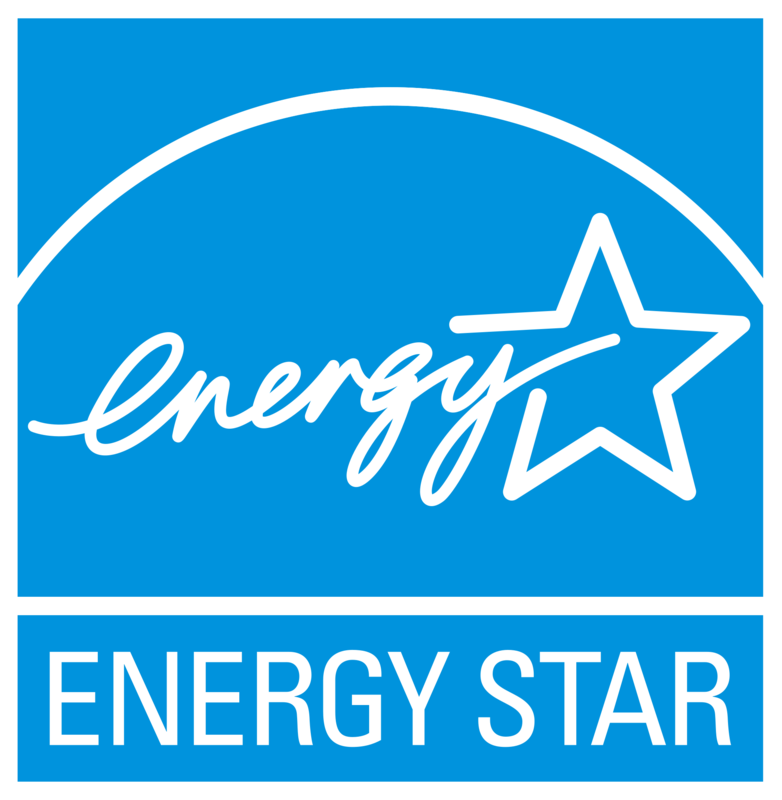 They are saving me a lot of money since during the daytime I no longer use the air conditioning at all as the fans are sufficient. I have purchased 3 of these for my lounge and bedroom. I had to spend a bit of time getting them balanced as they were wobbling to start with which wasn’t as simple as I was expecting. They are not only a great looking fan but work so well with the 6 speeds. I just leave them running all the time on low speed as totally quiet and cheap as chips to run. Compared to my ugly old fans they are – excuse the pun – a real revolution! A simple and stylish design but oh so very effective! Better than German design I am sorry to say with impressive performance – so quiet and yet move the air so effectively. I am an advertising designer and went for the lovely clean styling of this fan. Now it is up I am also surprised at just how good it is at cooling my lounge down. Great job MrKen! We put this fan above our bed as our room gets very hot due to being south facing and big glass windows. It made a slight hum and so Henley Fan replaced the motor for free which solved the problem. 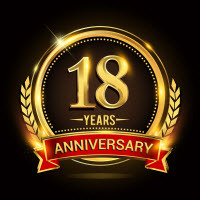 Great service and a great product from a great company. We saw this fan in the hotel we stayed at in Maritius for our honeymoon and were so impressed we were pleased to find it available in the UK. Thanks Henley Fan for your quick service and support in fixing the remote control. 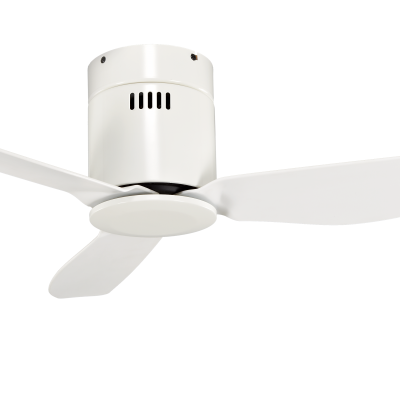 MrKen Seabird CAN 30″/42″ Low Energy DC Ceiling Fan in White – New 2018!